65% of the working age population in Northern Ireland are women, with 39% of those employed part time. Almost an equal amount are economically “inactive” due to family/home commitments. 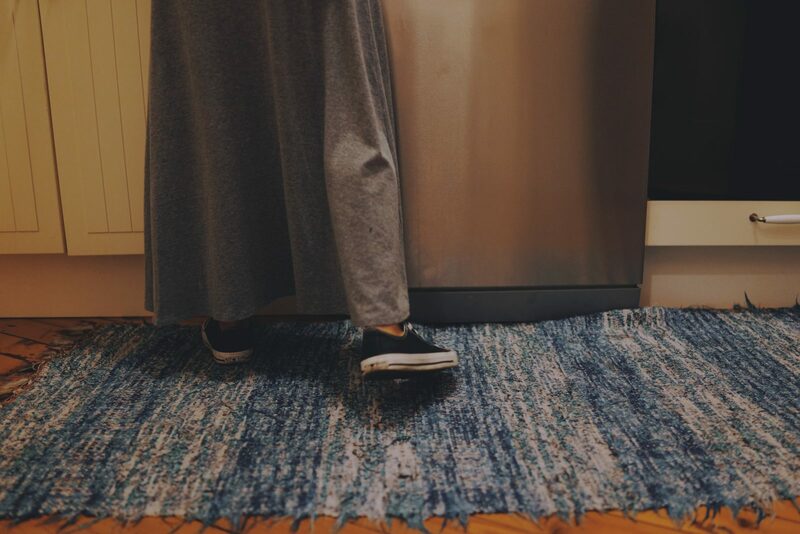 Some mothers choose not to work, or to work less hours while they are raising children. However, for many other women, they effectively have little or no choice. If they did not work, they would not be able to bring enough income to support their families. Despite these realities, the truth is that many mothers worry about the impact of their employment on their children. They are concerned that they might miss out on important developmental milestones or feel guilty that they are “putting work ahead of family”. In 1984, 49% agreed with the statement: “A man’s job is to earn money; a woman’s job is to look after the home and family”. In 2017, just 8% of respondents agreed. Although this suggests that society has begun to see working mothers as "the norm", many of the structural barriers continue to exist. Mums have the double pressure of managing a career and the home and family. Research shows that the majority of childcare and housework is still undertaken by women. Mothers will naturally worry most about the effects their work will have on their children first. However, it is important that they also consider the impact of going back to work will have on themselves. Parents who are stressed often find it more difficult to parent effectively, and being a working mother is likely to cause stress. Some women will be very keen to return to a career they are passionate about. Others will be less enthusiastic about going back to full time work. A study in the United States looked at the impact on mood and happiness working had on mothers. It found that both positive and negative impacts are possible. Women who went back to work often felt more accomplished and self-confident, but also more stressed. The source of this stress was found to be juggling being a mother and an employee. Additionally, the researchers suggested that these stresses may be more heightened for mothers than for fathers, because they found women were more likely to process their role as a mother and an employee at the same time. Fathers on the other hand tended to deal with these roles one at a time. This is at least partially because mothers are more likely to be called in the event of a family problem – such as a sick child. The Working Mother Research Institute conducted a survey in 2015 of working mothers asking how they felt. They found some unsurprising findings – that mothers that make less money are less satisfied for example. They also found that mothers tend to de-prioritise self-care when there are high levels of stress between work and home life. The biggest single contributing factor to satisfaction for working mothers was flexible working. Is it good for children to have a working mum? Some older studies note there may be negative impacts. A 2010 Australian study noted that there was a link between mothers working longer hours and children watching more television. In turn, this led to increased weight gain in children and decreased exercise. The study found that women working longer hours had less direct supervision of their children and therefore often felt uncomfortable letting their children play outdoors, leading to more time watching TV. Additionally, less time to cook meals caused an increase in the amount of “junk” food consumed. A study by the Joseph Rowntree Foundation (JRF) in 2001 found that when mothers returned to full-time work before their child was 5 years old, risks of lower outcomes for their children increased. They suggested such children had lower educational attainment and more unemployment. The reason suggested in this report for these outcomes was that mothers would have less time for direct interaction with their children during these crucial periods. However, the report also notes that there significantly less negative outcomes for mothers who work part time as opposed to full-time. Additionally, it suggested that when women work, it increases the household income which is likely to have positive impacts on children that were not measured in the report. Given the deleterious effects poverty has on families and children, it was proposed that any negative impacts of working could be outweighed by a mother’s work avoiding financial strain in later life. A 2016 LSA and the University of Oxford study found that children whose mothers worked had better social and “everyday” skills. These results included children who were considered to be “very young”. They found that where mothers (and fathers) were active and engaged in their parenting, children’s outcomes improved. Therefore, it can be suggested that a mother working is not necessarily negative for even young children. Rather, it can be positive provided that mothers are careful not to allow work to interfere with having an engaged parenting style. They also found that sons of working mothers had significantly more egalitarian gender attitudes, and were more supportive of women’s engagement in the labour market. They also shared responsibilities better in household work. While girls were more likely to benefit, boys did not experience any negative impact from having a working mother. Many mothers are concerned not only about the later outcomes of their children, but their emotional wellbeing as well. The feeling of guilt associated with working and missing time with children, particularly younger children is a major motivating factor of many mothers seeking to leave employment. However, a report by Harvard Business school found that children of working mothers are just as happy as adults as those whose mothers did not work. A study in 2014 by the University of Wollongong in Australia found that children whose mothers worked more than 35 hours a week were more likely to pursue higher education as well. Unlike the earlier report by the JRF, this report focused on teenage children. It found that teens whose mothers worked full time were also less likely to leave school at 16. E.g. flexi-time, part time working or contractual arrangements allowing mothers to predict when they would be able to take more/less parental responsibilities. This referred to employers being more or less willing to allow for sudden changes in circumstances (like a child needing to come home early from school). Have not made another application to work flexibly under the right during the past 12 months. If you meet their criteria, your employer must legally consider your request seriously, and only reject it if there are good business reasons for doing so. It is clear that there are potential negatives and positives relating to being a working mother. It is inevitable that lower levels of supervision provide more opportunities for undesirable behaviour. However, the positives are significant – especially for daughters and for women themselves. Mothers who are already working should not feel guilty, and can reduce stress on themselves by considering any possibilities for flexible working. The best way to safeguard against any negative outcomes, will still enjoying the benefits of the positive aspects is to ensure that your parenting is not affected. If a working mother is careful to continue to parent in an engaged and active manner, there are few meaningful negative consequences to working. The good news for mothers is that the evidence suggests that working or not working is not determinative. Research suggests that both can have positives or negatives, and that those negatives are not set in stone. Therefore, women should feel empowered to do what they feel is right for their children, their families and themselves. If they choose to stay at home, or to return to work, they should not feel guilt or fear about the impact it will have on their children. Instead, they should simply be aware of the realities and adjust their choices accordingly. Find out more about the research in the full report. Find out about how we help employers support their parent employees. Call freephone 0808 8010 722 for reassurance on any parenting issue. Earlier in the year, Parenting NI was extremely saddened to learn that we would lose the funding for the Health and Social Care Board (HSCB) Regional Parenting Helpline contract (which includes Face to Face Support). Parenting NI identified the need for a parents helpline in 1979 and have been providing the service ever since. Now in our 40th year of delivering the service this news was devastating. The good news for parents is however that the service is being continued. 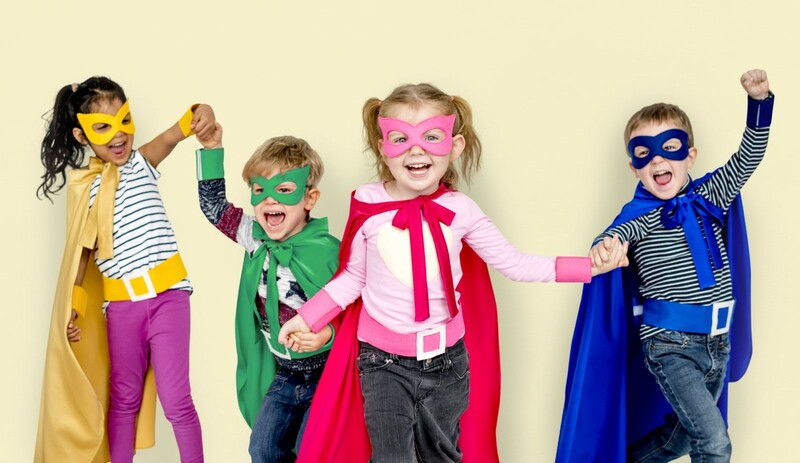 Children in Northern Ireland, the regional umbrella organisation for the children’s sector will be delivering the Regional Parenting Support Helpline from 1st April onwards. Whilst the loss of funding to provide this service is extremely disappointing, it is by no means the end for Parenting NI. We are passionate about supporting parents and will continue on our mission to provide a range of accessible services and support to meet the needs of those in a parenting role across Northern Ireland. We are pleased to confirm that from 1st April we will continue to provide a freephone support service for parents (on the same number 0808 8010 722) as an access point to our range of services. We will also continue to deliver our range of parenting programmes, family support services and regional projects including the Dads Project and Families Together. Parenting NI also continues to lead the way in consulting with parents to ensure their parents’ voices are heard at every level in order to influence policy, planning and service delivery. We are also very excited about expanding our range of resources for parents, particularly in terms of online and digital platforms as we continue to develop of Parenting Support App. Parenting NI will continue to work with partners in order to deliver real diversity and choice for parents when it comes to what support they need. We will also continue to work in partnership with statutory and other sectors to promote engagement with parents and build on our range of accredited and non-accredited training and workshops for professionals working with parents. We hope to make this transition as smooth as possible for service users. From the 1st April freephone support will be available on 0808 8010 722 Monday to Thursday 9:30 am – 3:30 pm and Friday 9:30 am – 12:30 pm. We would like to thank you all for your continued support of the work of Parenting NI. We look forward to continuing to support parents and making our vision of a future where parenting is highly valued a reality in Northern Ireland. Leading parenting support charity have launched the findings from a first of its kind study, revealing the realities of parenting in Northern Ireland. A survey carried out with 1,192 parents across Northern Ireland in the latter part of 2018 has found that parents are worried about their children’s future. 66% of parents said they were more worried than hopeful about parenting in the future. Parents overwhelmingly identified more challenges than opportunities for their children, with their main concerns being the impact of technology and social media on young people, mental health and the cost of childcare. Many parents also expressed frustration at the current political uncertainty; they conveyed concern that important decisions are not being made which is having a deleterious impact on health and education budgets. This in turn is putting more pressure on families, with long waiting lists for services and parents being asked to plug the funding gap in schools. Another worrying figure is that 82% of survey participants said they do not feel parents get enough support. Parents’ answers indicated that they felt that society was not very supportive of those in a parenting role and that more could be done to make parents aware of the services that are available to them. “I am generally an optimist, but even the most optimistic parent has concerns. And even the most confident parent has moments when they think - I’m nowhere near up to this task. I have concerns about keeping my children safe online and worry about the impact that social media might have. I hope that it won’t shape my girls identity - that the number of likes/followers or whatever else won’t become more important to them than life outside the screen. I also worry about the impact this has on young people’s mental health and trying to teach my children how to deal with their emotions is something that I have found really challenging. For media enquiries contact Parenting NI Marketing and Communications Officer Emma Lyttle on 028 9031 0891. Best friends one moment, mortal enemies the next. The relationship between children in families can be complicated at the best of times. Despite a parent’s wishes, it is very common for brothers and sisters to argue, fight and annoy each other. Most of the time, parents know that these childish disputes will solve themselves and are perfectly normal. But what if it seems like your children are constantly in conflict? Where is the line between “normal sibling rivalry” and cause of genuine concern? This article will help to explain the causes of sibling rivalry and give advice to parents about when to intervene. Almost all siblings will fight at some point. These can take the form of verbal, physical or psychological clashes. Often more than one of these factors are at play at any one time. In addition to this, the family’s composition or dynamic may contribute to or lessen the likelihood of siblings coming into conflict with each other. Experts note for example that birth order can have an influence on sibling relationships. First born children more commonly take part in sibling rivalry, because they had a period where they were likely to the sole recipient of parental love and attention. A sibling is thus an “intruder” who changes the character of the family, often in a manner that is unsatisfactory for the child. There tends to be more sibling rivalry between children of the same gender. 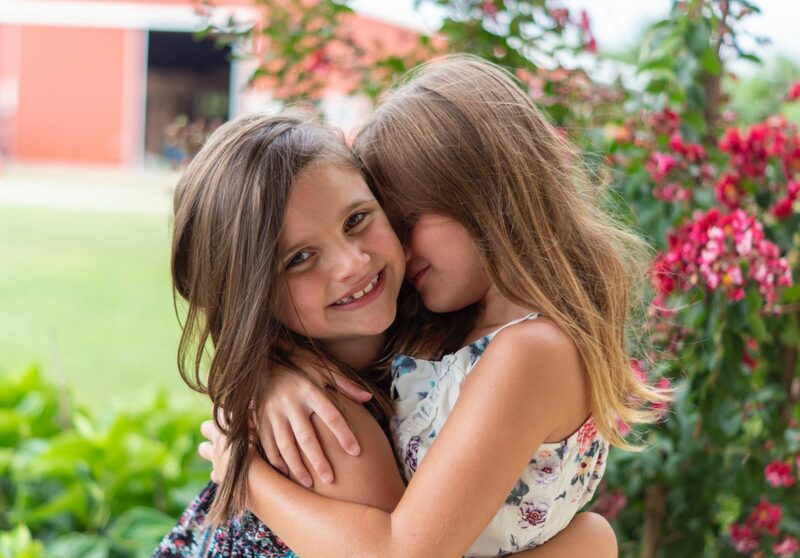 The issue comes from the fact that researchers have found that siblings of the same gender tend to have closer relationships and more communication. This same high level of contact can cause friction. Girls are also slightly more likely to have a rivalry compared to boys. Negative feelings about siblings can be magnified if there are physical changes. If a child is moved to another room, for example or when grandparents or if other relatives visit and they interact less with the older child. These events can cause a build-up of resentment, anger or fear that leads to sibling rivalry. Sibling rivalry affects almost all families – one study suggested that it can occur as often as 8 times an hour. However, it has also been noted that it tends to be less intense in larger families than small ones. This is because in larger families, power (and parental attention) is more evenly distributed. This means that in such large families, each individual may feel that they have a particular – and unique – role to play in the family. In a smaller family, the oldest might have more power (and responsibility), leading to the young children feeling it is “unfair” that they get to be “in charge”. Conversely, younger children may be seen to be more “babied” and “get away” with more than the oldest. However, there is a natural limit to the extent of these benefits, as large families may struggle with providing enough resources, and even where there these are sufficient, a mother can only read so many bedtime stories or a father attend so many football games in a single day. This can result in more fighting to get a share of limited parental attention. What is important to remember is that even experts find it difficult to determine what the “true” cause of any given rivalry is. This is because there are too many other factors that can differ significantly between families, like economic situation, parental behaviour, the society they grow up in and school achievement. The impact these can have on children makes it difficult to determine what triggers quarrels. Another situation that is more likely to breed argument is a blended family. Families where step-siblings interact regularly can have rivalry for all of the same reasons as non-blended families. However, they have the added stresses of children not welcoming the “new” children into their families. Adding step-children can disrupt delicate balances of role and power in siblings, for example, and a child who is used to being the oldest and most responsible may suddenly have a brother or sister older than them. The child who is used to being closest to one parent may suddenly have steep competition from a new child. There is no easy way to prevent these issues. Unlike you and your new partner, your children did not choose to include these new people in their lives. They may not have positive feelings, or see the new siblings as “real” family. The Parental Stress Centre of Australia suggests taking a calm and measured approach to blending families. Having family meetings, explaining the new situation to all children in an age-appropriate way. Parents should aim to retain an authoritative parenting style, with clear rules and boundaries. They should be careful to provide each child with one-on-one time and regularly have family time if at all possible. Bonds may take some time to form, or may never form between step-siblings. However, parents can make clear that there are limits to acceptable arguments. This can limit stress in the household, and parents should listen to their children but maintain control. Children will look to parents to set out what is allowed and what is not. What does sibling rivalry look like? What is “normal” behaviour, and what is abnormal? While all conflict between their children is likely to be either annoying or concerning for parents, it is important to recognise when simple rivalry has become bullying or abuse. Firstly, if you have more than two children, and find that all of your other children consistently gang up against one of the others, this should be addressed. It is common for some siblings, particularly in very large families, to have better or worse relationships with particular siblings. However, if you find that one of your children is always the target of mockery or physical conflict, it is important that you intervene. 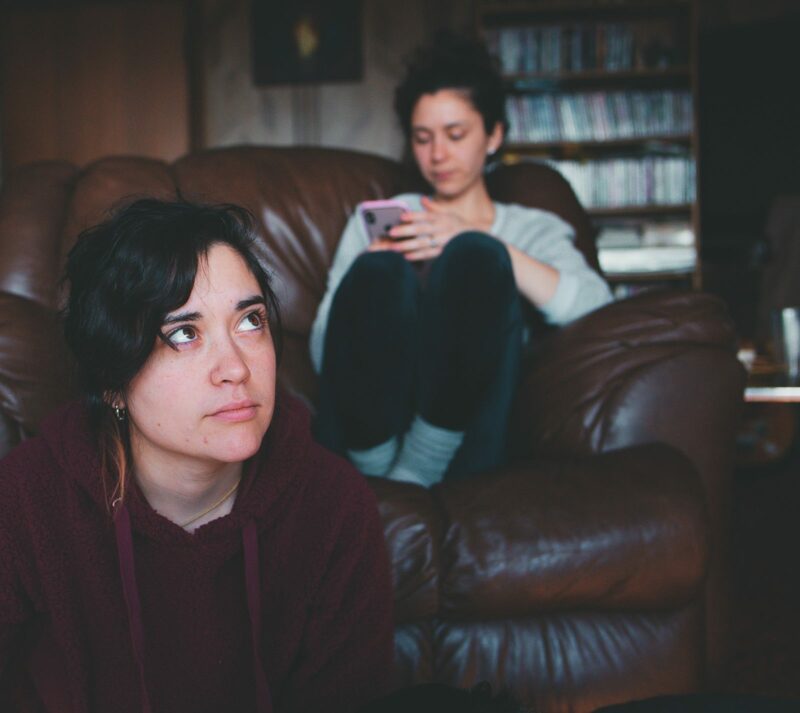 A study by the University of Warwick found that siblings that are bullied by their brother or sisters excessively are more likely to develop mental health problems as adults. A number of warning signs can help a parent identify if competitiveness is getting too intense. 1. – Do they show love as well as fight? If they are close sometimes, and fight at other times this is more suggestive of a normal relationship. 2. – Is it escalating? Did your son slap his brother last week, and this week did his brother react with a higher level of violence? Children may struggle with overreaction and knowing what is proportionate. Parents should intervene if there seems to be a consistently rising level of conflict. 3. – What are the causes of the fights? Can you reduce these without needing to get involved every time? Are they spending too much time physically close, or are they arguing over a particular toy? If it seems that there is no good cause, but the fighting always seems to get worse that may be a warning sign. They may therefore need more alone time or distractions. 4. – Talk. This is the most common and useful tactic in a parent’s tool kit. It is tempting (and very understandable) to demand that all children “Stop fighting, I don’t want to hear who started it, you are all in trouble!”. However, if there is something more serious in play, doing this means you may miss out on important context. If there is a particularly serious incident, take the time to talk to all children involved, separately. You may wish to wait for the initial emotions to cool before doing this. Listen to what your children tell you, and use that to determine your next moves. Regardless of the reasons for squabbles between siblings, most parents just want it to stop. Often coming at the worst possible moments – in public places, when parents are tired or at moments of high stress – a sudden and seemingly inexplicable argument is the last thing a parent needs. As such, it is often the first reaction of a parent to intervene and stop it. Sometimes this is the right thing to do. For example, if you are somewhere you cannot leave easily and where a continued fight would be inappropriate or distracting. The doctor’s surgery, on public transport or a wedding are places where swift, decisive involvement from a parent is required. Parents should establish “ground rules”, and parent in an authoritative manner, where their children understand what is and is not acceptable. Having clear rules as well as consistent (and proportionate) consequences for breaking them can help avoid the most serious conflict. Apply these rules to all children as equally as you can, as having “one rule for me, another for my sister” is an attitude likely to lead to more conflict. However, it is also the case that often parents should not get involved in putting a stop to a conflict. If it is relatively low-level and there is no suggestion of escalation, allow your children to sort it out themselves. Experts suggest that dealing these sorts of disputes help children to develop negotiation and problem-solving skills later in life. Your children should know that mum or dad is always there to help if things get too heated, but that they should try and resolve it themselves if they can. In addition to direct intervention, another key way to reduce the amount of arguments is to ensure that the family atmosphere is calm. Children mimic parental problem solving strategies, so if they see you resolve conflict by yelling, getting physical or arguing, they will do the same. On the other hand, if they see you coolly deal with issues by talking, reasoning and cooperating, they will attempt to do that too. Experts suggest that parents be careful in the way in which they deal with their own issues, as well as taking a balanced approach to dealing with children’s fights. Younger children, particularly primary-school aged children have a strong sense of what they feel is “fair”, and react strongly when they feel treatment is “unfair”. Parents should help their children understand that “fair” and “equal” are different. They should explain that sometimes one child needs more – attention, food or support for instance. This can reduce feelings of jealousy and subsequent arguments. Be sure to balance this extra attention with time spent with other children later if you can. Finally, parents can encourage siblings to see themselves as part of a team, rather than as competitors. Give children compliments or guidance as a group – “you are both such great help to mum!” or “you are all playing so well today” as opposed to comparisons. This allows siblings to see each other as sources of help and support, rather than opposition. Make sure that your attention, love and interest is split well between your children. If a recent event – like an exam, or a play for example – has meant you spent a lot of time with one child, take care to give dedicated time to their siblings, one on one. Additionally, spend time as a family as often as you can, linking positive experiences to being “one team” can help foster positive relationships. It is almost certain that siblings will argue and fight. It is annoying, but usually nothing to worry about if your children have disputes about toys, personal space or other little issues. In fact, these can be helpful learning experiences for them. However, children rely on their parents to set the rules of engagement. You must set out what can and cannot be argued about, used in an argument or fought over. Parents must also pay attention to patterns of sibling rivalry and ensure that it is not escalating and intervene if needs be. There is an extraordinary pressure on young people to “look right”. A survey by Girlguiding UK found 25% of girls aged 7-10 felt the need to be “perfect”. Parents recognise that their children are struggling with unrealistic standards and problems with their body images. In 2017, the NSPCC said that it had delivered more than 2,500 counselling sessions about negative body image issues across the UK. Worryingly, these issues also affected younger children, with more than 100 of those sessions being for girls aged 11 or younger. This article will talk about what is meant by the term “Body Image”, identify where the pressures on children and young people are and what parents can do to help. Thus, a child or young person (or an adult, for that matter) has a body image that is connected to the place and society they grow up and live in. The standards to which they compare themselves change from place to place and from time to time. Body image is not fixed, and often change as they age. Women, in particular can face body image issues as they grow older, Ferraro et al. (2008) noted that “older women evidence greater concerns regarding body shape than do older men”. It is therefore clearly important to develop a healthy and realistic body image as early as possible. However, studies suggest that puberty is the crunch point for both boys and girls. While girls often develop body image issues earlier than boys, teenage years offer a unique mix of challenges. Firstly, hormonal and growth changes begin to happen with puberty. Secondly, romantic relationships become a more regular feature of day to day life, making “looking good” a more urgent need. Body image is always going to be based on a person’s own ideas about what looks good, and how they want to look. This is the reason that many people who could be considered very attractive or physically fit may struggle with body issues. While this obviously presents some challenges for parents seeking to improve their child’s body image, in some ways this can be a comfort too. Because any child or young person can have good body image, regardless of height, weight or other physical characteristics. Before we can suggest what is having a negative impact on young people’s body image, we need to consider the major factors that help them form it. Academics found that children begin to develop body image awareness from as early as 3 months. At this age, an infant will look longer at an image of their own legs taken from an observer’s perspective than their own point of view. This suggests that the view of “another” holds more interest than their own. However, the idea that “beauty is good” and general comparisons begin at around 3-4 years old. Around this time, children begin to desire to look “good”, and to have a general idea of what that might mean. Definitions of what “good” is, in terms of attractiveness obviously vary. However, a significant source of ideals about what is or is not attractive comes from popular media. Children watch or view around 40,000 adverts per year and many of these either subtly or explicitly contain images meant to be seen as “attractive” or “not attractive”. The media that a child observes plays a significant role in their own development of positive or unhealthy body images. 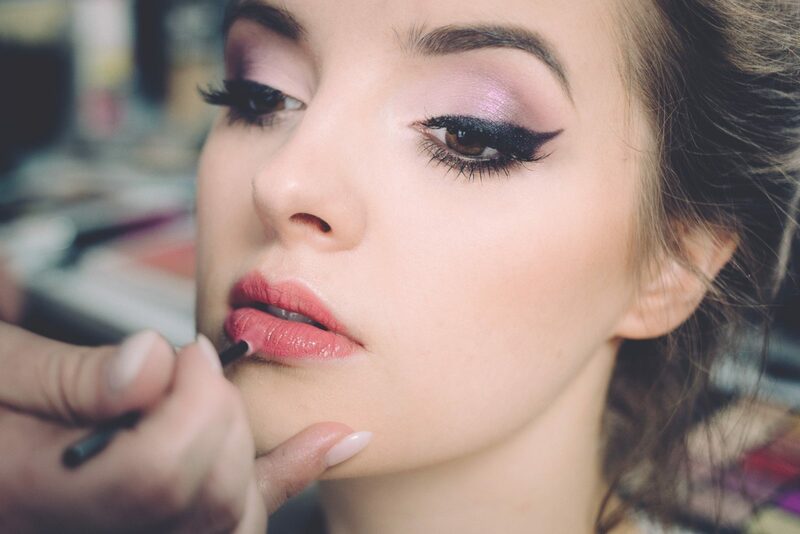 It is important to remember that while there are general factors that help to determine body image, what is considered “beautiful” can be totally different from one group to the next. Studies found that for people with equal levels of unhappiness with their bodies, men and women who prioritise their physical appearance will experience more frequent and intense body-image issues. Thus, if your child or young person highly values their physical appearance, they will likely struggle more with body image issues. It is important that body image is supported by a lot of other roles, achievements and ideas that help to form your young person’s self-identity. This means that the way in which your family behaves (in terms of warmth, levels of conflict etc.) can impact both positively and negatively on your child’s body image. Your own actions as parents can also be a significant factor in your child’s body image. Research suggests that girls whose mothers were critical of their eating habits or appearance were more likely to have body image issues. On the other hand, giving your children sincere compliments can help to build a good body image. The Irish Nutrition and Dietetic Institute notes that it can help to talk about what bodies can do, and how to stay healthy rather than a narrow focus on weight or beauty. Outside of the home, there are a number of societal stressors on body image. A report by the All Party Parliamentary Group on Body Image found that the most important societal influences on body image were the media (43.5%), advertising (16.8%) and celebrity culture (12.5%). Peers, parents and specific sectors such as the fashion industry were also identified. Social media, which ties into both the media and peer groups is also a significant factor in body image development. The fact that pictures and images can be measured against each other via “likes”, “comments” and other interactions value “beauty” in a way unlike pre-social media circumstances. Children can now directly compare how popular their images are to their friends, and the fickle and imperfect nature of such a comparison can lead to difficulties in having realistic views about their own body image. A poll by Royal Society for Public Health (2017) found that social media may be fuelling a mental health crisis. 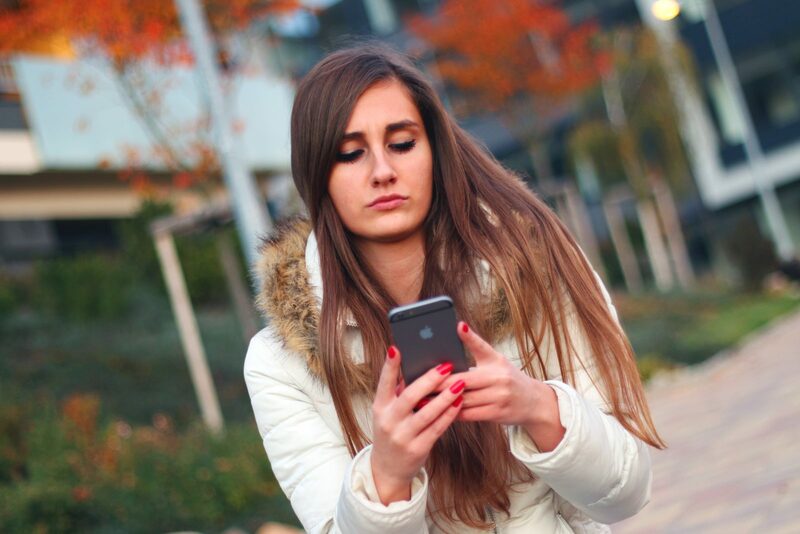 In particular, the social media platforms “Instagram” and “Snapchat” was singled out as particularly damaging to young people. There are immense pressures on young people that can negatively impact their own body image. So, what can parents do to help? Gail Saltz, the editor of the Child Mind Institute notes that there are two important aspects of body image parents should help their child with. 1. Sympathise with their concerns and validate the pressures they feel. 2. Be positive about your own body, or at least not obviously negative. 3. Both parents should be involved in promoting body image if possible – fathers play a particular role in supporting positive body image in girls. Another important aspect is communication. Talking to your children – even relatively young children about issues around body image, in an age appropriate way can help. Family Lives (England) suggests that parents have a relaxed conversation with their young people to find out their thoughts, concerns and insecurities about their own bodies. It is important for young people to know that their parents care about how they feel. Even if you strongly disagree with their views or think their concerns are unreasonable, parents should be careful not to invalidate their young person’s feelings. If they want to change the way they look, support them to do so in a realistic and healthy manner. This might mean exercise or healthier diets, and may help to steer young people away from unhealthy habits later. Stanford Children’s Health suggests that parents and young people should eat together. This can help to promote healthy eating and body image. Additionally, parents should take the time to praise and instil confidence in their children. Being active in other areas – such as clubs, sports or hobbies – where your young person can excel is a good way to ensure that their body image is not so central to their identity. This reduces the likelihood of obsession with body image, and subsequent negative behaviours. The best way to understand why body image can be so important for young people is to explore how they define themselves. If a very significant part of who they see themselves as relates to how they look – their hair colour, their weight or how attractive they feel they are – then any negative comments or experiences relating to that will naturally have a massive impact. 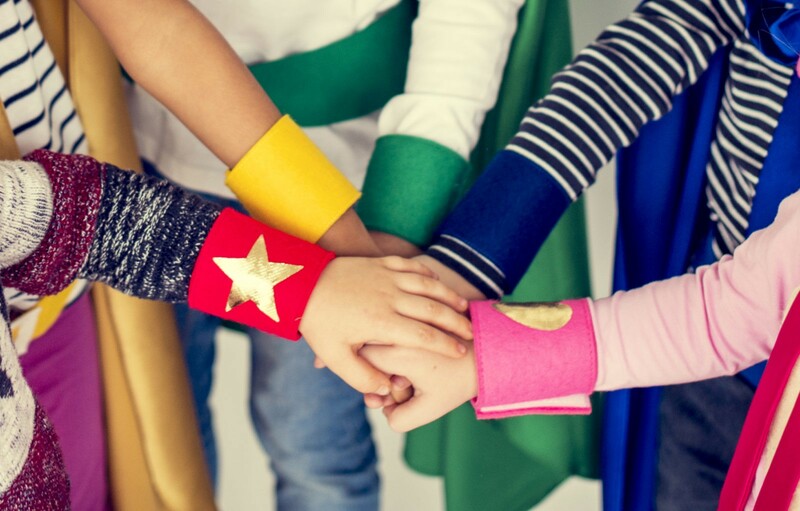 In order to have a strong self-image, parents should encourage young people to recognize strengths and the feelings of confidence they build, especially in times of doubt. Every parent and child is different. Even the most confident, happy and healthy families may struggle with body image issues. 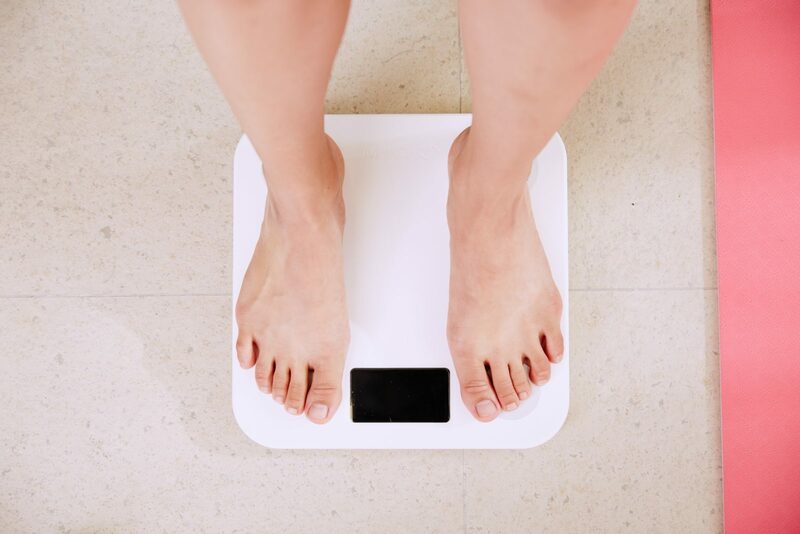 Parents should be aware of warning signs that body image issues may be occurring – such as deep concern about appearance, unusual eating habits – and seek help if needed. If you, or someone close to you is in need of support you can phone the Parenting NI helpline for free on 0808 8010 722. Parenting is the most fulfilling job that we will ever have, but it’s not without it’s challenges. Modern family life can be stressful and with various pressures on families it’s not always easy. Ultimately, parents want what is best for their child and a strong parent-child relationship can help lead to better outcomes for children. Why is a Positive Parent-Child Relationship Important? The Parent-Child Relationship is one that nurtures the physical, emotional and social development of the child. It is a unique bond that every child and parent will can enjoy and nurture. This relationship lays the foundation for the child’s personality, life choices and overall behaviour. It can also affect the strength of their social, physical, mental and emotional health. Young children who grow with a secure and healthy attachment to their parents stand a better chance of developing happy and content relationships with others in their life. A child who has a secure relationship with parent learns to regulate emotions under stress and in difficult situations. Promotes the child’s mental, linguistic and emotional development. Helps the child exhibit optimistic and confident social behaviours. Healthy parent involvement and intervention in the child’s day-to-day life lay the foundation for better social and academic skills. A secure attachment leads to a healthy social, emotional, cognitive, and motivational development. Children also gain strong problem-solving skills when they have a positive relationship with their parents. There is “one-size fits all” when it comes to parenting, we change and adapt as our children grow. However, following some simple positive parenting tips can help when it comes to your relationship with your child. Treat every interaction as an opportunity to connect with your child. Be a warm in your expressions, give eye connect, smile and encourage interaction. Children need structure and guidance. Talk to your children about what you expect of them and make sure they understand. Acknowledge your child’s feelings, show them you understand, and reassure that you are there to help them whenever they have problems. Help your child to problem solve. Be a good role model and show them how to behave through your own actions. When you work with your children to find solutions they learn how to deal with difficulties in a appropriate way. Forming a connection with your child is important to developing a strong parent-child relationship. Here are some tips to help with strengthening your relationship with your children. Of course you love your children but tell them every day, no matter what age they are. Even on difficult days let your child know you didn’t like the behaviour but you love them unconditionally. A simple “I love you” can do a lot to strengthen a relationship. 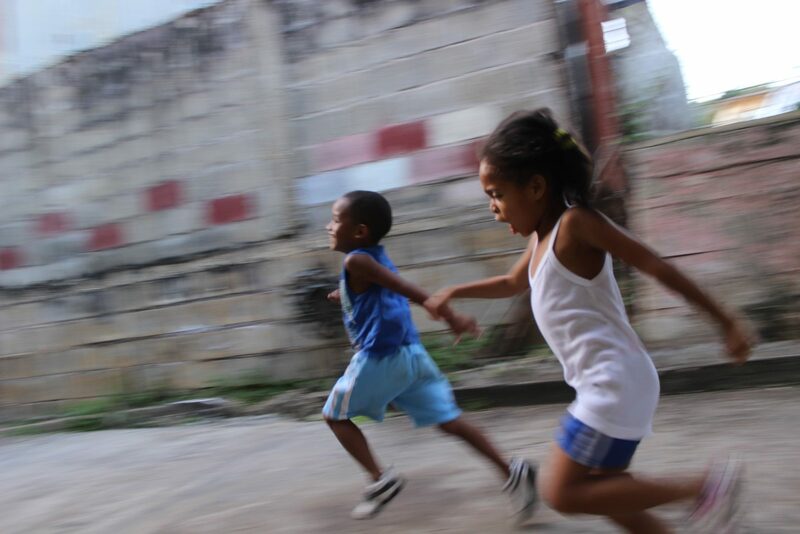 Play is so important to children’s development. Young children can develop many skills through the power of play. As well as it being fun and helping you develop your relationship with your child, it can help children’s language skills, emotions, creativity and social skills. The Department of Education and Playboard NI have developed a range of resources on play for parents with the #PlayMatters campaign. Make time to talk to your child without any distractions, even 10 minutes a day can make a big difference in establishing good communication habits. Turn off the TV, put away technology and spend some quality time together. Eating together as a family sets the stage for conversation. Encourage no technology at the table and enjoy each other’s company. Connection starts with listening. Try and see things from your child’s perspective and foster mutual respect. If you have more than one child try and make a point of spending individual time with each of them. Quality, individual time with your child can strengthen your bond, builds their self-esteem and lets them know they are valued. Of the many different relationships people form over the course of their lives, the relationship between a parent and their child is among the most important. Parenting NI are contacted by thousands of parents each year, about a variety of issues including concerns around children’s digital activity and video gaming, separation, and child to parent violence. As challenges for families increase and become more complex in today’s society, the parenting support charity want to use this year’s Parenting Week to highlight how valuable positive parent-child relationships are in improving outcomes for children. Strong parent-child relationships play a vital role in all areas of children’s development and can have a lasting influence throughout a child’s life, including better mental health, finding it easier to make friends, better educational attainment and being more resilient. “We want to assure parents that no matter what challenges they are facing they should never underestimate the impact of the positive relationship they have with their children. To launch the Parenting Week programme of events, Parenting NI brought together over 240 professionals and practitioners to Girdwood Community Hub for an event with Dr Karen Treisman, focusing on the importance of parent-child relationships. Schools throughout Northern Ireland will also be taking part in the week with various resources and activities being provided to teachers to help explore the relationships and communication in the classroom. 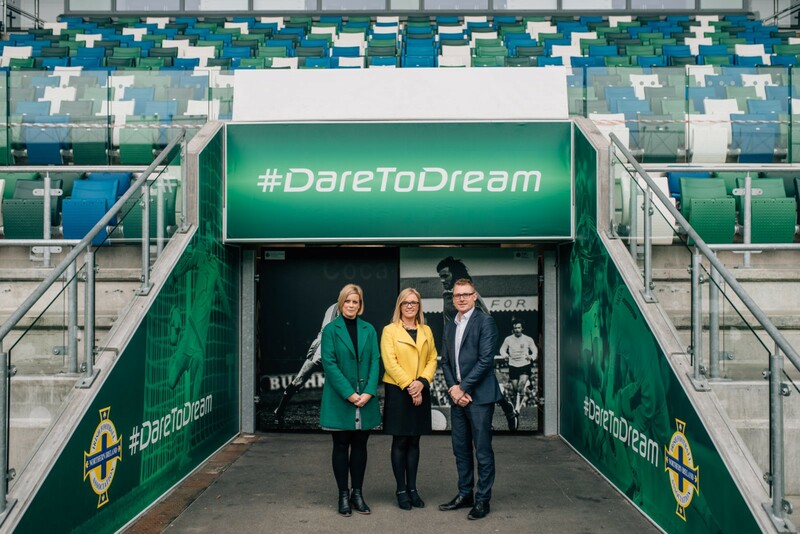 Left to right: Gail Toal, Bank of Ireland UK, Charlene Brooks, Parenting NI and Simon Fitzpatrick, Irish Football Association. 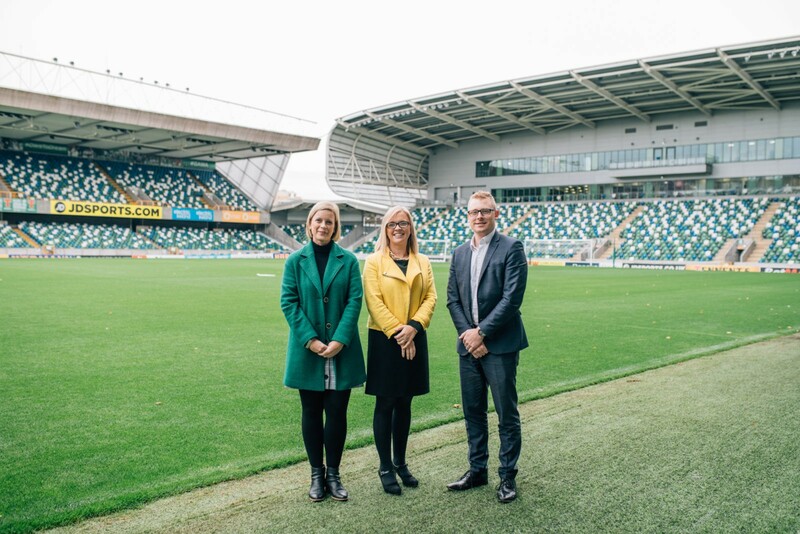 Parenting NI partner with Bank of Ireland UK to host a special event at the National Stadium focusing on workplace support for parents. It’s often said that being a parent is the most important job you will ever have; but for many parents it’s not their only job, and the challenge of trying to find a balance between work and family life can be difficult. A breakfast networking seminar will take place in the Danny Blanchflower Room at the National Stadium on Monday 22nd October which will explore how businesses can support staff with work life balance and engage them on issues relating to gender equality and diversity. Award winning ex-CNN journalist and author of ground breaking book All In, Josh Levs will be keynote speaker at the event. When Levs was denied fair parental leave by his employer after his child was born, he fought back and won. In the process he became a leading advocate for modern families, now working with corporations and organisations to build policies that support men as equal caregivers, a crucial step towards ensuring equal career opportunities to women. Parenting NI CEO, Charlene Brooks, said with all the pressures on modern families it’s time for a change of perceptions and workplace culture. “We believe it’s important for workplaces to move with the times when it comes to family friendly policies. Employers who support and respond to the needs of working parents are helping to shape a workplace for an evolving workforce. 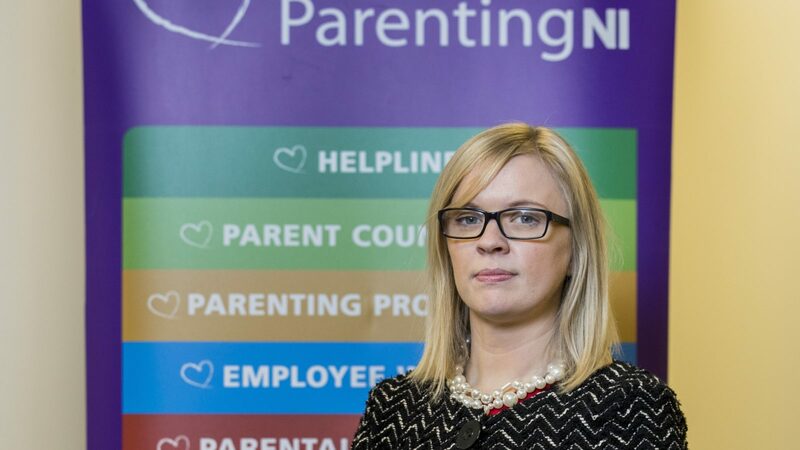 Charlene Brooks explained that Parenting NI hopes the event will open up more conversation in businesses about how they can help ease work life balance stresses for families in Northern Ireland. 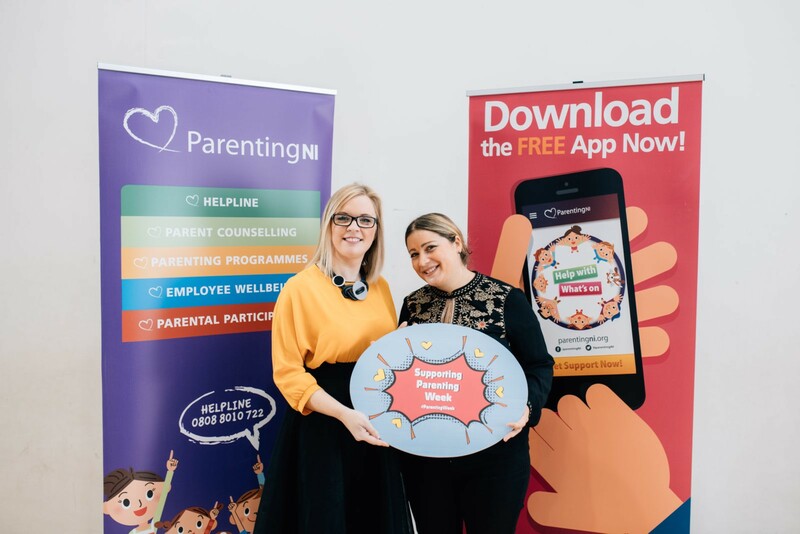 Parenting charity, Parenting NI, have launched a brand new app which will give parents immediate access to parenting support. 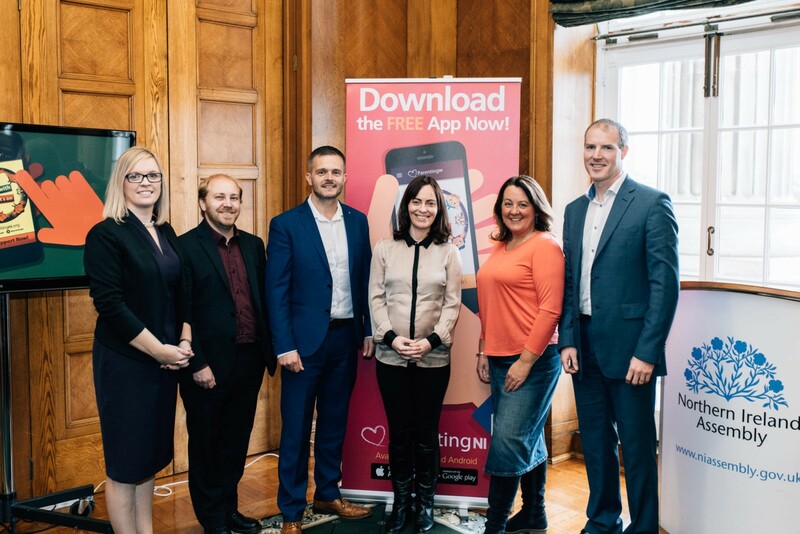 Thanks to support from the Building Change Trust and Techies in Residence, Parenting NI have collaborated with Derry~Londonderry based firm, Kippie, to create an app which will offer tips and support to parents. The innovative Parent Support App is free for parents to download and offers a range of tips on topics such as emotions, behaviour, digital parenting and friendships. It has links to information such as what parent support programmes are available and a direct link to the charity’s freephone helpline. “We are excited to be able to launch the first stage of our Parent Support App this week. We recognize that it can be difficult for parents to reach out for help, and we are therefore delighted to have created, with our partners Kippie, an engaging piece of technology which makes it easy for parents to access support. 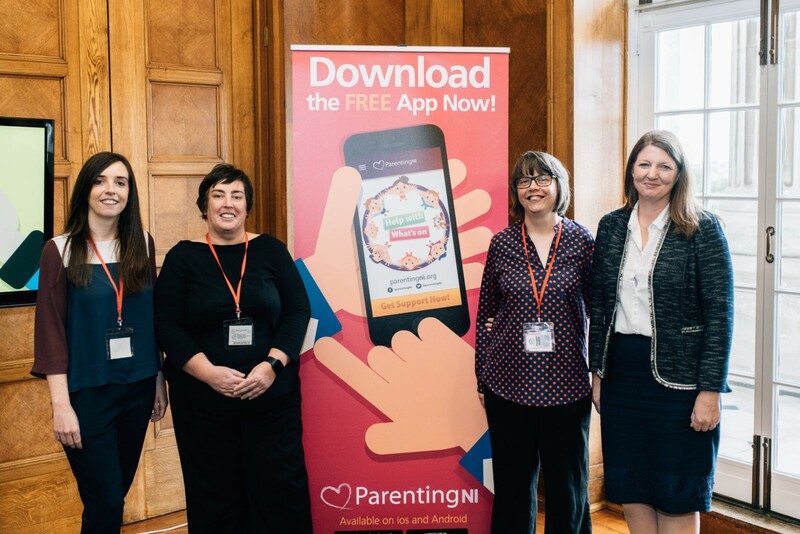 The Parenting NI Parent Support App is now available to download for free on Android and will be available on App Store later in the year. 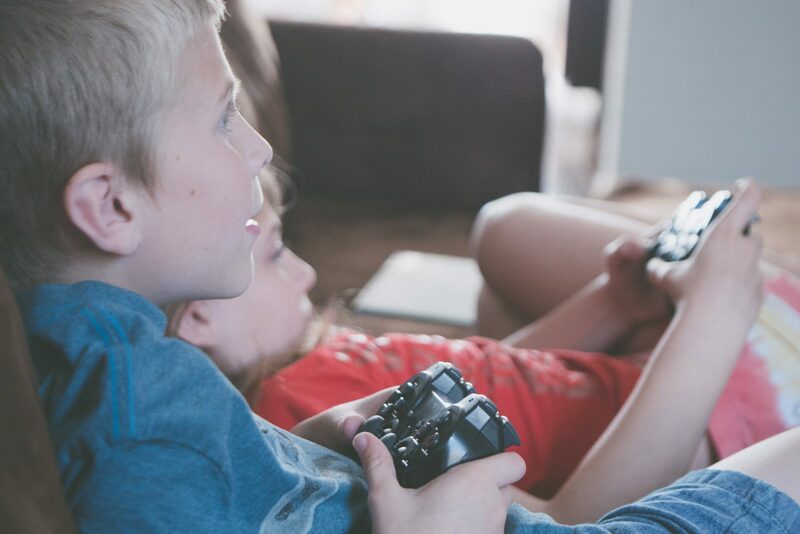 Last year, Parenting NI wrote an article on video games and your children, which is available here. In that article, we spoke about the impacts of video games on children. We also spoke the positive and negative effects games might have on your child or young person, and went thorough where you might get more information. However, due to consistent calls on the topic to the Regional Parent’s Helpline, we realised that it would be useful if we gave parents an overview of the games their children are playing. So, do you know your Battle Royales from your MOBAs? Do you know how much 100 “Vbucks” cost? Is your child or young person in a “clan” online? If you don’t know what any of this means – don’t worry! This article will go through three of the most popular games as of August 2018, and explain a few mechanics that are common in many games that parents should be aware of. If you have quite young children (particularly if they are still in primary school) you may have heard of Roblox. Launched in 2006, Robolox is what is called a “Massively Multiplayer Online Role-Playing Game” or MMORPG for short. So what makes Roblox different, and what makes it particularly popular with younger children? Well, firstly, like all three games on this list Roblox is “free to play”. That means that in order to download and play the game, no money is required. This makes it accessible for children. Secondly, the unique element of Roblox is that is functions somewhat like an online version of LEGO. Players can develop their own games, which are hosted in a social media style list. In fact, it is easier to understand Roblox not as a single, large game, but as a collection of many hundreds of smaller mini-games. You keep the same “character” in each of these games, and players can pay real money to customise their character. There are a wide range of “games” to play on Roblox. Unlike a typical game the quality, length and style of these games is varied. Many are copies of more popular games. The appeal, particularly to younger children is the opportunity to play a sort of off-brand version of games that they may otherwise be unable to afford or that their parents are unwilling to purchase. For example, one of the most popular games is “Mining Simulator” based on Minecraft. Gameplay – or what exactly players do in game – can vary widely. In one game, they may be building collaboratively, or attempting to work together to escape a maze. They may be pretending to be the manager of a company, or they may be fighting one another. Because of the simplistic and child-like graphics of Roblox, even potentially violent imagery is unlikely to be considered very offensive according to video games rating organisations. 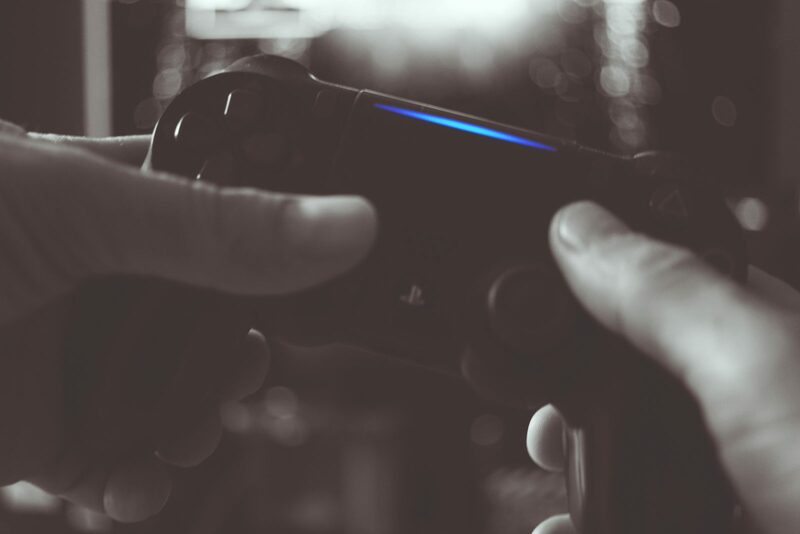 Parents should be aware that while most games are harmless and the variety means that children have an opportunity to play many different types of games, there are issues with quality control. There have been incidents of inappropriate or obscene content and games. While Roblox attempts to keep this to a minimum, the volume of games (there are thousands of game types) makes this difficult. Not all games are free – some require a user to pay a fee (usually small) to access the game. However, because these games are user-created there are no specific rules about what must or must not be paid for. If you have a child or young person who plays Roblox, then you have most likely been asked to purchase “ROBUX” before. As previously mentioned, Roblox is free to play the basic game. However, the game earns money by selling in-game items for your in-game character. These are often user-generated and have an enormous variety. These items are bought using in game money called “Robux”. There are a number of ways in which a player might earn ROBUX, but the primary method is purchasing for real money. Keeping in mind that there are more than 6000 items) it is easy to see how Roblox can become an expensive hobby quickly, despite being “free to play”. In addition, the items for sale may or may not be suitable for younger children. Because of the exclusivity of the paid for items, there is prestige associated with having them in game. This contributes to the appeal for players, particularly young players who have limited access to the money to buy the items themselves. A strong component of Roblox popularity is the social aspects of the game. While most online games will have some form of interactivity, the “massively multiplayer” aspect of Roblox is one of the primary draws for players. Each game type will have multiple separate games playing called “servers”. Servers are listed and players can join if they are open and have spare slots. A player will not necessarily know the other players on their server. Each server (and game type) will be different, and as such may have different rules and regulations. Some basic rules apply over all servers, which Roblox have collected in their community guidelines. These are fairly extensive and ban things like swearing, sexualisation and bullying. It is important for parents to keep in mind that much of this moderation requires the behaviours being reported, and therefore can be inconsistent or slow. Players can add others to a “friends list”, if they both have a Roblox account. While this is helpful for children or young people who wish to play together, there is no requirement that that they know each other in real life. Parenting NI would recommend parents get to know who is on their child’s “friend list”. If you have heard of any of the games on this list, you have probably heard of Fortnite. Fortnite is a shooter game, played in either first person (looking “though” the eyes of the player) or third-person (looking over the shoulder of the player) perspective. Fortnite was first released in 2017, reaching 125 million players by June of 2018. While there are two main game “styles”, by far the more popular is “Battle Royale”. This mode pits up to 100 individual players into a last-man standing battle. Players can play alone (called Solos) or in squads of twos (Duos) or fours (Quads). Players start in a “battle bus”, a literal bus pictured above which flies over the playing field. Players jump (or “drop”) at a chosen point. Upon landing, they scavenge for items such as guns and armour and seek to be the last person (or team) alive. At this point, the game is over and a winner is announced. They can also build structures or defences in the game in real time. Like Roblox, Fortnite is free to play the base game. Those seeking “skins” (costumes for player characters), “emotes” (animations such as dances) or other cosmetic items must purchase these with in-game money called “Vbucks”. VBucks range in price – because Fortnite can be played on the Xbox, a computer, on a phone or other platforms. They can be spent in-game on a rotating selection of items. There are a number of subtle marketing tactics that are in play with in-game purchases as opposed to using real money. Firstly, any given item is only available to purchase in a random rotation. When a player sees a costume they want, there is an urgency to buy right away – or else they may have to wait an undetermined period of time for another chance. Secondly, the fact that Vbucks are bought in blocks of hundreds, players usually have left over in-game currency. This creates a feeling that unused currency is “money wasted” and encourages further purchases of Vbucks to “make use” of the remainder. In this way, the game makes buying items quickly and repeatedly very appealing to a player. It also helps to explain why a child may be insistent on day that a parent provide money, and seem relatively disinterested the next. Those who do not (or cannot afford to) buy items are sometimes mocked as “no-skins” or “nobodies”. The popularity of Fortnite is intrinsically linked to “streaming”, this is the practice of sharing video in real-time of your game play with others. The two most popular websites for streaming are Youtube and Twitch. As of writing, there are more than 121,000 people watching Fortnite on switch and the most popular “streamers” are casting to an audience in excess of 29,000 viewers. The appeal of watching their favourite “streamers” is similar to watching a professional sport match. Those watching a stream can communicate with each other and with the person casting via a “chat” system. A sub-culture often sprouts up around a particular streamer. This can include in-jokes, common slang terms and other elements that are easily identifiable to those in the know, and unintelligible to those without. Popular streamers are able to earn significant sums of money from donations, brand deals and advertising. 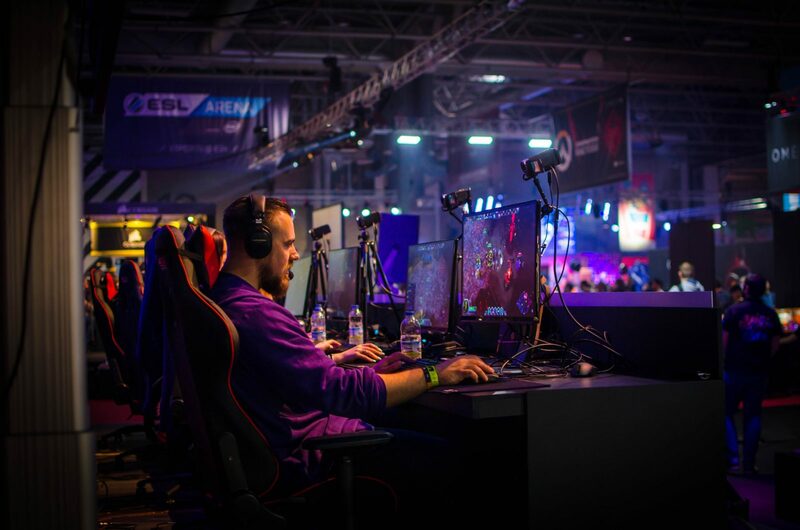 The prospect of making money playing video games, along with having loyal fans explains why many children have begun to see “streamer” or “youtuber” as an exciting potential career. If a group of children or young people at school all follow the same streamer, it can become an important part of their social life. However, it is very important for parents to understand that while the video game is providing the background and content for the stream, the stream itself is not regulated in the same manner. League of Legends, or LoL is a free to play Multiplayer Online Battle Arena or MOBA game. In this game, and others like it (Defence of the Ancients 2, Smite and Heroes of the Storm for example) two teams of 3-5 each players choose “champion” characters and battle for control of a map. League of Legends is arguably the most popular MOBA – with around 100 million active players per month. Like Fortnite or Roblox, League of Legends is free to play, and makes money by selling in-game items and characters. There are around 140 different “champions” in League of Legends. Each has a slightly different play style –for example, one may be effective at long range or may be able to heal friends of damage. League of legends is an older game, first released in 2009. Its game play is also arguably more complex and challenging than Roblox’s most popular modes and Fortnite’s battle royale. As a result of both of these factors, the player base for League of Legends tends to be a little older. In all likelihood, if your child or young person is playing league of legends or another MOBA they will be in their mid to later teens. If they are playing League of Legends or other MOBA games, and are younger, parents should be particularly cautious. “Riot Points” – this is the premium currency. These must be bought and can be used to purchase cosmetic items and champions. “Blue Essence” – This is the standard currency, and is earned via playing the game. By having some items available to purchase with points rather than only for real money, the developers can argue that they are not as exploitative as normal free to play games. One of the issues with this is that the quality and range of items available for purchase with premium currency is much more than with standard. One of the major concerns that parents may have about League of Legends and other MOBA games is the toxicity of the community that their child is playing with. While all online games will have a level of unpleasant behaviour, League of Legends is renowned for having a particular problem with this. While the developers of the game have made consistent efforts to address this, the gameplay loop of league of legends is uniquely susceptible to problem behaviour. If your child or young person is having strong reactions to their performance in video games, the best step a parent can take is to talk to them. Parents may justifiably feel that their child or young person is overreacting to a loss in a game, but should take the time to consider why they may be acting in this way. It is possible that they are simply upset about the game, but equally it may be a sign of more general frustration in life. 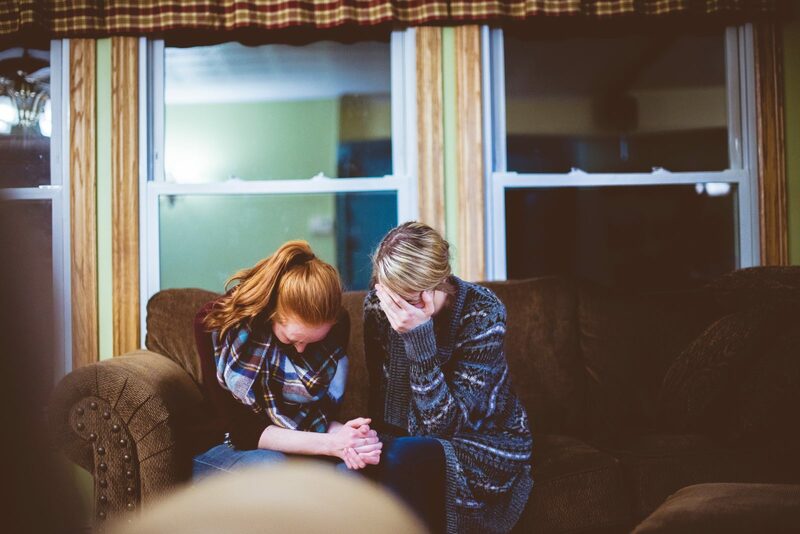 Asking your young person why they feel so emotionally invested and get so upset is an opportunity to talk about feelings and how to deal with emotions. Simply shutting them down and telling them to “get over it” may inadvertently cause more stress. You may have read stories in the media about parents who have gotten stung with large, unexpected bills because of their child’s in-game purchases. The main manner by which this happens is parents accidentally letting the game “save” their credit card details. In the same way that Tesco, Amazon or any number of online businesses can save details to make payment easier, so to can video games. From there, it is relatively easy for children or young people to make further purchases. They may do this intentionally, but it is equally likely that they will click assuming that it will not work. The best way to combat this is to ensure that you do not tick “save my payment details” when making a purchase. Alternatively, many games allow you to make physical purchases of vouchers that can be redeemed online. If you use this method, no payment details are ever processed by the game. Another important aspect of video gaming, particularly for younger children are parental controls. Some games have specific parental controls built in, but the easiest way to implement them is via the platform that your child or young person uses to play the game. In the case of the three games that are listed here, the “platform” is a PC, Xbox or PlayStation. Each has its own method of implementing parental controls. 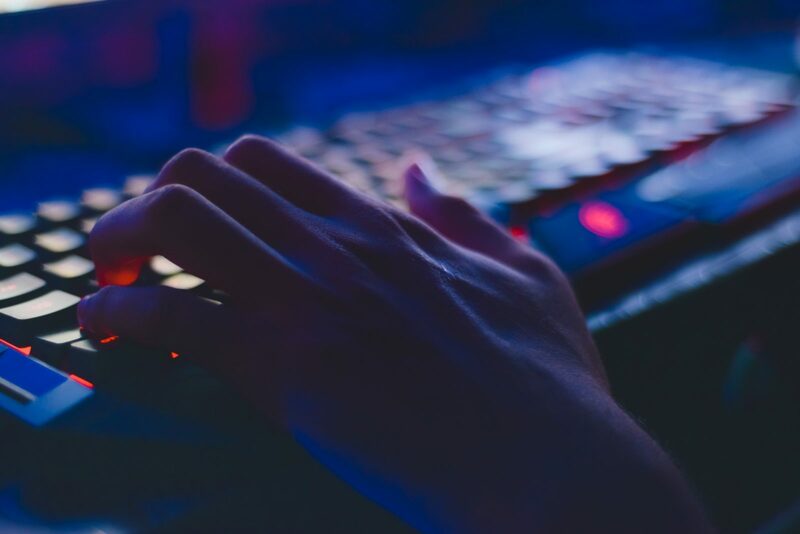 For a PC, this is a little more complicated, as parents will often need to install third-party programmes to monitor and restrict access to individual websites, games or programmes. Rather than suggesting a particular company, Parenting NI would advise parents to ask someone in their life who is comfortable with computers to help, or to ask for help from an expert. For PlayStation and Xbox, setting up parental controls involves going into the settings on the consoles. On the Xbox, head to “Settings > Account > Family” and choose your child or young person’s username. From there, you will be presented with a number of options to restrict games based on age rating. On a PlayStation, go to “Settings > Parental controls/Family Management > Parental Controls”. Again, you will be presented with a number of individual options to restrict games and features. Video games are a fast evolving medium. By the time that you are reading this article, it is entirely possible that all of the above games will have waned in popularity. Equally, there are thousands of games available, and your child or young person may be playing any of them. It is important to try to know the names of the games that your child is playing. Games are regulated by the Pan European Game Information (PEGI) system, and are rated. Parents can go on to the PEGI website here, and can search for any game. This will give an overview of the content of the game, and help parents to determine if the game is suitable for their child. This system works like movie ratings, and Parenting NI would strongly encourage parents to check the ratings of every game that they know their child is playing. The most effective step that a parent can take is communicating with their young person. While taking an active interest in the games your child or young person plays may be challenging, having a general understanding of what they play and what is involved will help allay fears and catch problems. It is unreasonable to expect a parent to have an in-depth understanding of every video game that their child may play. However, rather than seeing them as mystifying sources of concern, parents should see their children’s interest in gaming as an opportunity. Instead of saying “this is a waste of your time” or “go outside and play”, which may lead to an argument, ask “what do you like about that game?”. Children will appreciate the chance to talk about their interests, and parents may learn more about what their child enjoys.